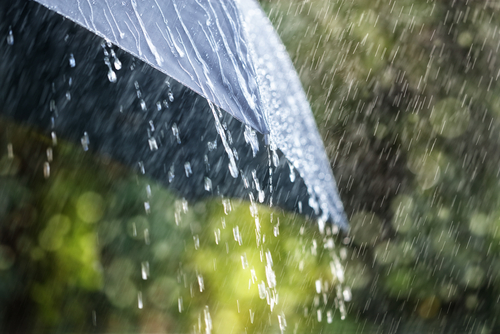 While many people are sad to wave goodbye to summer leave for another year, when it comes to harvesting rainwater, there are many more that will be glad to welcome autumn back, with open arms. Not only are days a little cooler, but rain is much more abundant and in plentiful supply. It won’t be long before rainwater harvesting tanks are filling up once more! With such a small proportion of the water on earth suitable for human consumption, many people consider it their duty to do what they can to reduce water consumption in terms of non-essential duties – such as washing clothes or vehicles, sanitation purposes and of course, for use in gardens and allotments. If you are looking to make savings at home or on your annual bills, then considering the use of a rainwater harvesting tank could be extremely beneficial. The best part of collecting rainwater is that it is recycling an otherwise wasted resource that could be better utilised. Once installed, your tank is ready to start collecting rain. You can then use as little or much as you need. Maintenance is minimal due to the nature of the task at hand, and all tanks are manufactured using appropriate materials and treated for longevity. By substituting mains water for that which you have harvested for everyday tasks; such as flushing the toilet, washing clothes, washing dishes, watering flowers and even the lawn; you are looking to make significant savings when it comes to your water bill. Additionally, by reducing the amount of mains water that you consume, you are decreasing the need for water to be treated and processed in the first place. Collecting rainwater is also good practice if you are located in an area that is prone to flooding. Removing this water from the process can reduce the amount of flooding, albeit on a small scale. Similarly, less water on the ground gives your garden a chance to grow and take in nutrients from the soil without being drowned. Make the most of the seasons –and the rain, with your own water harvesting system. Tanks are available to both domestic and commercial customers that are looking to save money and make use of a valuable natural resource. For more information, please do not hesitate to contact us on 01889 567700.